I will — playing in my garden is worth it! 🙂 I’m beginning to think spring is finally here. Have fun in your garden! Diane, beautifully written and funny. Your account of your tribulations with your skin makes me grateful for my darker (albeit slightly greenish) skin tone. Like you, I like to spend time out in the garden, and I also hike and ski. I probably should slather on the sunscreen more often than I do. I live on Vancouver Island too. Hi Jude! How nice to “meet” a neighbour! 🙂 Sunscreen is a giant pain, but at least Vancouver Island’s sun is a little less aggressive than Calgary’s (where I spent 30 years). At that elevation, sunscreen was an absolute necessity. At least here at sea level I can push the limits a little more! I love your garden photos, particularly right now as it is snowing lightly even as I type. I can’t complain too much as the winter was not that bad this year. And it’s supposed to turn to rain later. The bee photo is my favourite. Could possibly be a painting in the making? Oooh, yes! Spoken like a true artist. I never even thought of painting the bee in the flower, but you’re right, he’d make a great painting. Sorry about your snow – that’s gross. Fingers crossed that it turns into rain! Beautiful flowers! And oh my! That bee looks like he’s snuggled into that anemone as far as he can! I love the blue! I was naturally a very dark brunette before I went all silver, but still have prissy skin. I get lovely hives from the sun, so I also do long sleeves. I do feel your pain. Loved 14. The end was incredibly satisfying and I even managed to write a review this time. Thank you for continuing to write! And here I’ve been envying brunettes thinking they had it made. I guess the sun really isn’t a friend to many people. 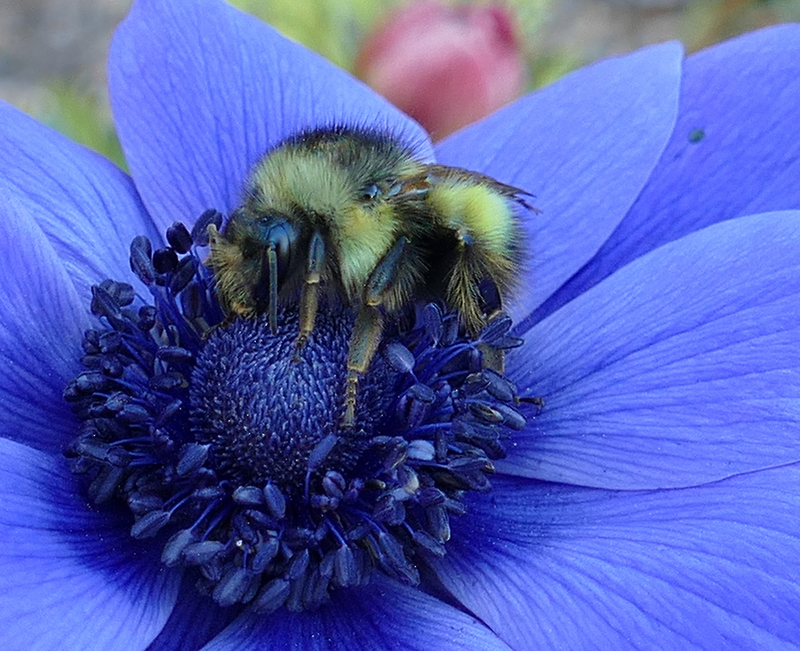 I’m getting a huge kick out of watching the bees – the one in the blue anemone was busy, but there are others that just seem to be clinging to the flowers (or tucked inside them) and snoozing. I don’t know whether they’re exhausted and taking a rest, or whether it’s some other kind of ‘bee-haviour’ that I don’t understand. They’re fun to watch! Oh my goodness you make me laugh. I’ve only said that 362 times prior but really…. ‘normal people to bask comfortably on the sunny side of Mercury’. I have complete narrative envy. I myself, as a lifeguard in the 70’s, where baby oil was the skin product of the day, have had enough sun exposure to light up the night sky these decades later. Like you I sweat in my long sleeves and pants in some hope that this sacrifice of personal spontaneous combustion will appeal to the anti skin cancer gods. I’m glad you got a laugh! Your comment made me laugh, too – “light up the night sky” is how I used to feel after I got a sunburn. I was pretty sure they’d be able to see the glow from outer space! Having several red heads in my family I’ve seen the pain of sun exposure first hand so I can acknowledge that the struggle is real! Being a brunette I have it much easier, and I can appreciate that now. But when I was little I would’ve suffered anything to be a redhead like my mom and sister. I tried dying it red once and WHOA NELLY!! Horrifying. I don’t have the skin tone for red hair and I looked like a tomato was sitting on my neck. Lmao! So a brunette I am. Again the garden pics are beautiful! 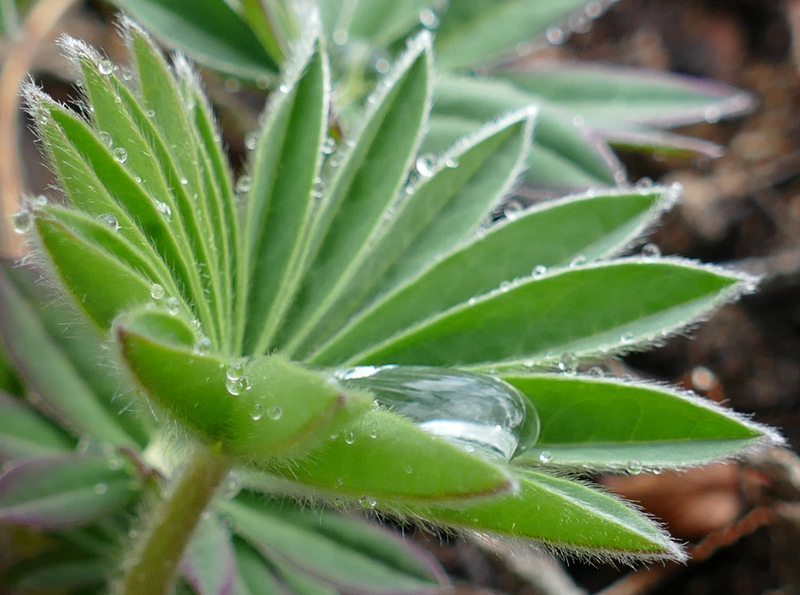 I love the picture of the lupin with the droplet of water. Fantastic shot. And the bees are obviously enjoying your hard work in the garden. If I didn’t mention it already 14 is FANTASTIC!! Thank you! Woohoo! I’m thrilled that you loved Book 14 — that makes my day! 😀 I can hardly wait to get started writing 15, but I need to spend a couple of weeks catching up on everything I neglected while I was in the final throes of New Book Release. My mom was a brunette, and I envied her ability to be out in the sun. I’ve always like having red hair so I don’t think I’d want to trade, but… man, it would be nice not to turn into a crispy critter in minutes! I loved the shot of the lupin, too! We’re supposed to have some rainy weather for the next few days, so I’m hoping to get some more good shots. It’s such a thrill to have a good camera again after years without one! Ouch, Diane. I have horrid skin, goes with the hair, but it is sun-resistant to a point… the sun eventually joins all the blotches together giving the impression of a tan, and it gives the added bonus of drying it out. I usually tan either in stripes or all down one side, so I can’t really win. The good thing is I’m not very green-fingered so I don’t need to be outside that much. I can’t stand sunscreen on my skin either – the greasy feel of even the lightest lotions makes me nearly crazy. Fortunately I’m not an outdoor person, but I feel for you. Man, that bee and anemone photo is AMAZING! You can almost hear the bee being deliriously happy! 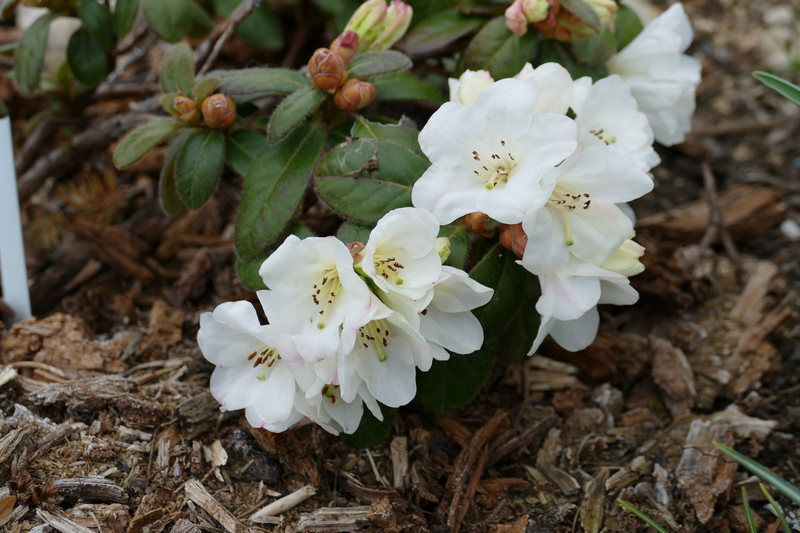 Your hard work in your gardens is certainly paying off. 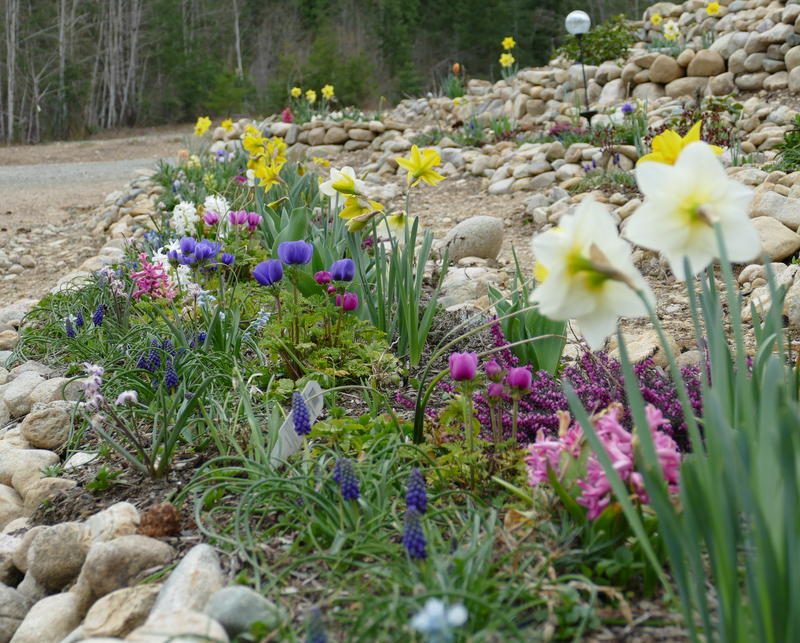 I love your use of the rocks to edge the beds. OMG I have garden envy! We are having a snow storm right now… yes snow ( April 3)! With all of the sunscreen we wear these days we are blocking our access to Vitamin D the natural way. Have your doctor check your Vitamin D levels. And so far loving book 14. I’m so glad you’re loving Book 14! You’re right about the Vitamin D thing. My doc brought it up about 10 years ago, and I’ve been taking supplements ever since. Maybe I’ve just been luckier than usual, but it seems to me that my immune system is stronger and I’ve been sick less since I started taking the supplements. A snowstorm?!? Bleah! What a crazy winter this has been. I hope your storm is short-lived and not too destructive. I have similar skin to you, if I’m lucky after weeks of catching a smidge of sun I may go a slightly less white colour. Currently in Spain a couple of rainstorms since I got here but mostly it’s been hot. I’ve killed my feet but what’s new, thank god for compeed my feet are covered in then lol, why is it shoes you know are comfortable kill your feet as soon as you wear them on holiday. Still I can still walk and have managed to surprise myself as to how I’ve managed so far it’s only Wednesday and I got here Saturday. Aydan and the gang are keeping me company started book 12 this morning and despite a day out I’m part way through chapter 12. So I imagine I will be reading book 14 at the weekend I’m looking forward to it, and also not at the same time coz that means I’ll have to wait for ages for the next one. Right I left Aydan wanting to crawl into bed after pretending to be a bear to retrieve her clothes, and just discovering she now has a breakfast meeting and needs clothes. I feel for her and can’t leave our girl in distress. Your books make it easy as they fliw on from one another. If you read a series of books by the same author then they follow on from one another most of the time. That’s a perfect description of me going out in the sun. Last summer I managed to get a sunburn on my feet while kayaking. I was out maybe an hour and put sunscreen everywhere but the top of my feet. Let me tell how painful it is to put shoes on sun burnt feet – well, you likely already know that answer. Oh, ouch! Yes, I do. I’m wincing in sympathy. Don’t think of yourself as sickly white or pasty. You are more like alabaster! Being a person of non-color I tend to toast up pretty well, too. So well in fact that I have had several smallish chunks of my skin removed for basal cell or squamous cell carcinoma. Keep doing what you do for protection since a body condom isn’t really practical. ‘A body condom’. Oh, my. The mental image of that is just… words fail me. Mostly because I’m laughing so hard! Yeah, I’m no good at keeping a straight face either! Forgot to mention that I liked the pics. They remind me that spring will get here eventually. Someday your spring will come! I’ve been thrilled at the number of bees visiting the flowerbeds — on a little heather plant only about a foot across, there will be a dozen or more bees working away. The whole flowerbed is buzzing! I’m glad to give them a food source to tide them over until the wildflowers start blooming.